TOUR GUIDE RESPONSE: Thank you Maryna! what a wonderful family you have, I was impressed by the smartness of your daughters and loved your wish to learn everything about Siena and its history. big hugs to you all and looking forward to meeting you again! I was traveling as a student and Stella tailored my tour to suit my research needs and personal interests. It was evident that she was very well prepared and had taken the time to carefully plan my tour so I would get the most out of our time together. Stella is intelligent and friendly. Exploring Siena with Stella is like visiting the city with an old friend. Tausend Dank an Stella, dass Sie die Tour innerhalb so kurzer Zeit für unsere Familie möglich gemacht hat! Super vorbereitet, klasse Informationen, absolut empfehlenswert!!! Stella was outstanding! She was very informative and showed us things we would never have seen if we were on our own. Do you want to know the Sienese? You could do no better. Passion for the Hidden Jewel of Toscana is the least you will receive from this gracious, lovely, educated lady Stella. Excellent tour of Siena, a wonderful city. Stella was interesting, informative and good company. She is extremely knowledgeable about Siena and its history. Stella also gave us some time excellent restaurant recommendations. TOUR GUIDE RESPONSE: thank you so much Sue and Ian, it was a pleasure to walk with you in my town and I am happy that we could enjoy many different districts and finally the State archive. great company and I hope the dentist aldo helped you! enjoy the restaurant, grazie! Our tour with Stella was excellent! She showed us parts of Siena that only someone who knows the city well could share. We returned to Piazza di Duomo the next day and toured the catherdral and the Santa Maria della Scala. Descending to the lower levels to see the Roman, Etruscan (and older!) artifacts was fascinating. It was all so much more meaningful thanks to information she shared with us. In two hours it is very difficult to see as much of Siena as one would like but we really enjoyed the tour which was a good introduction has prompted us to plan a return in the not too distant future allowing more time to explore this beautiful city. Thanks to Stella! Our family loved our tour of Siena with Stella. She was warm, entertaining and very knowledgeable and obviously had a great love for her city. The day flew by so quickly and Stella brought this fabulous city to life. She was also very caring, kind and flexible. We loved how she went out of her way to arrange a private tour of the synagogue in Siena for us. The experience was very moving. By the end of the day we felt Stella was part of the family. Definitely a five star guide!!!! 5/5. Stella was terrific. She was terrific with the kids- we all learned and enjoyed the history and her insights about Sienna. Excellent! TOUR GUIDE RESPONSE: thank you!!!!!! what a splendid family you were! grazie!!! We thoroughly enjoyed the tour. 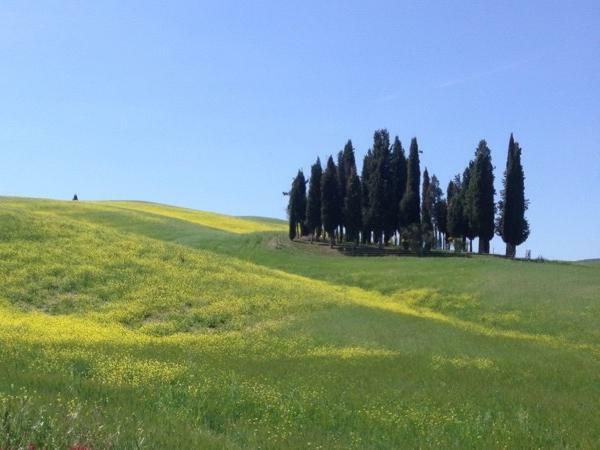 Stella was very personable and highly knowledgeable about Siena Overall and the sites we visited. Two of the 6 of us had been to Siena previously and we learned things that we had never known. The highlight of the tour was our visit to the State Archives - the wooden book covers dating from the 14C through the 16C were stunningly beautiful and the volumes of books going back to the 13C were fascinating. I would highly recommend the Classic Siena tour & Stella. Stella was wonderful. Very friendly, extremely smart, and ready to customize our experience. We felt like locals for a few hours, and we learned far more than we had hoped for. Stella shared many nuggets of information with us and made it easy for the 10 and 12 year olds to understand the interesting interactions among the Sienese districts. Fun facts! All of us enjoyed her tour. Thank you Stella!!! Stella did a wonderful job showing us around Siena. We visited many of the towns churches and shrines. She was well prepared and even brought a binder of pictures, so she could explain the importance of a particular painting prior to seeing it in person. Our tour focused on the artwork and architecture of Siena. It was very informative and her passion and enthusiasm for these subjects are contagious. We would enthusiastically recommend Stella. TOUR GUIDE RESPONSE: grazie Mona!!!! so nice of you! hope to meet you and your beautiful family again soon! a presto!!!! Our Siena guide was a very helpful & friendly woman. We personally would have preferred much LESS history and MORE information about the sights. She was also a bit repetitive. Overall, a 4 rating I would say. Stella is a true professional. She is warm and supremely knowledgeable and passionate about the history and culture of the cities we visited. We saw the main attractions and also some little things that contributed to our understanding of the history and life of the area. She carries a folder or "picture book" which she used to illustrate and compliment the sites we visited ... Outstanding! As a businessman, I would tell you that she is an enormous asset to your company! TOUR GUIDE RESPONSE: grazie Robby!!!!! that is 5 stars, I really appreciate and I hope I will meet you soon in my beautiful Siena and Tuscany! grazie!!!! Stella is such a lovely guide, my kids were kept captivated through the whole tour, we all learnt heaps about Siena that we didn't know and just loved the city. We would have never found out what we did if we'd ventured alone through the city so taking a guide and one that is a local is the way to go Elephants and Castles!! Thanks Stella. Stella was an awesome guide with energy and enthusiasm but also tremendous kindness and patience . As my wife had broken her foot only the day before we needed to proceed carefully and Stella was so considerate and attentive. She is a very special person and her contrada should be very proud. Stella was absolutely fabulous. We enjoyed the tour very much. She was punctual, personable, and very knowledgeable. She is an asset to your agency. Stella was extremely knowledgeable and was willing to take our wishes into account. She built the tour around what our kids interests were and helped them understand Siena. Highly reccomended. We had a wonderful tour from Stella. She was bubbly, funny had excellent knowledge of English and of course her home city of Siena. We were particularly Keen on finding out about the Jewish culture in the city. There was a limited amount to see but she gave us a sufficient flavour. Sadly our party split up at the Domo and we did not have time to say thank you properly for a wonderful 2 hours. Stella gave us an amazing insight of the Palio tradition while pointing us great highlights of Siena. A MUST do tour. Stella has a tremendous breadth and depth of Siena from both a historical perspective as well as a current day resident. We have had numerous tours in the past, Stella ranks at the top. She did the impossible with our group of 3 teenagers and 4 adults, she kept everyone's attention throughout the entire tour which she extended to answer all of our questions. Stella gave us a wonderful tour of Sienna. She was full of information and we could ask questions and talk freely with her. She was great fun. We came away with a good understanding of this lovely city.